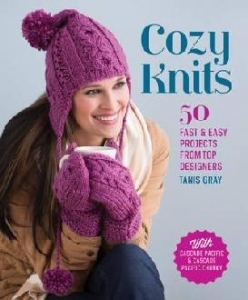 Cozy Knits is a fabulous collection of 48 all-new patterns. Join editor Tanis Gray as she brings together an all-star cast of today's top knitting designers to create dozens of delightful projects. Cozy Knits has techniques for knitters of all skill levels, including cables, lace, brioche knitting, intarsia, Fair Isle, and slip stitch, as well as tried-and true stockinette stitch and garter stitch. This collection offers projects every member of the family will love, including sweaters, shawls, shrugs, mittens, hats, afghans, and baby blankets.